An acronym for Polyvinyl Chloride, a synthetic plastic material used to make a wide variety of materials including pipes, doors, windows, fencing, and plumbing/electrical cable insulation. PVC is extremely versatile and, as such, is used in numerous applications. Type 1 is the most common and is extremely resistant to corrosion. Type 2 has less corrosion resistance, but greater impact strength. The rigid form is commonly used to replace metal during pipe manufacturing. The flexible form is often used in plumbing and electric cable installation. 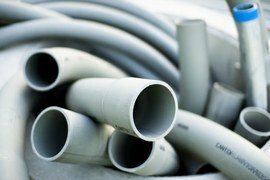 In terms of both its purchase price and long term-cost, products made with PVC are considered to be extremely economical.